Staying true to its mission and style of business, Yumasoft applies its vast experience to every single project. We go the extra mile in order to meet our clients' needs and to ensure that our solutions and IT products are of the highest quality. We achieve client satisfaction through expert management of our development teams, by paying close attention to detail, and by putting state-of-the-art technology to use. CertifID is a company developing a real-time solution to verify identities and documents in financial transactions. This unique Fraud Prevention Solution is very important for the title, real estate, and lending industries. Business model: Offshore Development Center. Technologies: C#, React.js, .Net Asp.net Web API, HTML/CSS, typescript. YumaPOS UK is a distributor of unique all‑in‑one cloud‑based POS system, including Terminal software, Back Office application and fully integrated customer Mobile app for iOS and Android. Business model: Custom software development. Technologies: C#, WPF, .Net 4.5, .Net Asp.net Web API, AsgularJS, HTML/CSS, typescript, Android, iOS. We were happy to work more than a year with SC5 great engineers team by creating. That was inspiring and productive experience for both sides. Technologies: Flash, Flex/ActionScript, MS SQL Server. We created full cloud POS for Quick Service model including iOS POS Terminal, Web Back Office, iOS and Android mobile applications for customers. Except for that we participated in unique functionality creation which was patented and still is under NDA. Bitstudios is true enthusiasts of great software creation no matter which industry they deal with. We are happy to work with our trusted and respected partner on multiple projects for many years. We are happy to work on one of the greatest social networking / chat applications. Join it to talk anyone using own language with auto translating feature. Technologies: Native iOS and Android, Python, PostgreSQL. We are happy to deliver multiple projects for internal business processes automation for our respected and highly trusted company. We appreciate they took a decision to cooperate with us long time ago. Technologies: AngularJS (1&2), HTML/CSS, Asp.net MVC, Asp.net Web API, C#, .Net, Breeze, Native iOS and Android development. NEC Corporation is a Japanese multinational provider of IT services and products. The IT solutions business delivers computing solutions to business enterprises, government and individual customers — in the form of software, hardware and related services. The Yumasoft team is proud to be able to take part in creation of new solutions by providing outsourcing software development services. Productive Edge is US software development company that has a wide range of services such as web and desktop application development, enterprise system development, graphic design service and mobile application development. Yumasoft developers provide Productive Edge with outsourcing software development and support services such as an Offshore Development Center with a dedicated, highly professional team. IT Retail focuses on developing grocery POS software on the Microsoft platform and solutions that interface with the Microsoft suite of products. IT Retail develops, customizes, sells and serves retail solutions to independent global grocery retail chains and other retail operators. The Grocery point of sale solution was developed by Yumasoft and generally designed to meet a grocer`s every need. This software solution affords managers complete control of all the essential business operations, such as customer and product profitability reports, price changes, promotional discounts, cash register accounting and tracking, and customer loyalty programs. Founded in 1994, docSTAR, a division of Astria Solutions Group, LLC, is an innovative software company that provides collaborative content management solutions to streamline business processes for organizations of any size. The document management software, available either on-premise or as a cloud-hosted service in the SaaS model, allows enterprises to gain control over documents, improve retention, and increase efficiency. The Yumasoft team is truly proud to be a part of development team and to contribute to the upgrading of docSTAR. Vmail has created a new cellphone communication app called Vmail app that specializes in sending voice-based instant messages to any recipient. The app is currently in Beta and available for iPhone and Android platforms. The Yumasoft team plays an active role in improving and upgrading the app into a faster, easier, and more convenient messenger. ACD Direct offers contact center solutions specific to their clients’ business needs. Whether client contacts are inbound, outbound, or both, they deliver with exceptional agility, flexibility, and simplicity. ACD Direct leveraged the virtual contact center model to quickly respond to changing dynamic market conditions, take advantage of highly skilled agents in many cities, lower your operating costs, and improve your bottom line. ACD Direct has a proven track record of working with their clients as a proactive partner, and they are committed to delivering all of the benefits a virtual contact center provides. Yumasoft developers provide ACD Direct with outsourcing software development and support services such as an Offshore Development Center with a dedicated, highly professional team. KnowledgeThroughData is a consumer engagement technology company providing software solutions to the world’s best brands. KnowledgeThroughData also leads a collaborative global research & development community of innovative marketing leaders and best-in-class consumer technology companies behind the on-going growth of the KnowledgeEngine, a white-label consumer engagement platform, technology interface engine, and accelerated development environment. Yumasoft provides KnowledgeThroughData with a highly professional dedicated development team for development of a range of cutting-edge web applications. A full service integrated marketing agency with over a century of collective experience in crafting innovative solutions to all marketing needs that helps to understand client's brand, products and services, and marketing objectives. Yumasoft developers actively participate in implementation of various web projects for well-known US companies as an Offshore Development Center. MOTLA is a leading South African engineering company, whose primary purpose is to serve the entire mainland by offering a range of professional engineering, utility, metering, and project management solutions. Yumasoft cooperated with one of the divisions, Motla Utilities, and provided high-quality development services by upgrading a corporate metering management system. Coxito is a Norwegian start-up company, which developed a powerful SaaS solution. This tool incorporates an enterprise search feature and information discovery solution as well as a tool for analysis, through which the user can gain a better understanding of the performance of a company in the form of charts and overviews. The Yumasoft team got the opportunity to play a role in implementing this solution. Antera Software develops and tailors custom software which aims to provide unique solutions to everyday business challenges and increased efficiency to modern business practices. Content management and data manipulation including the transfer and storage of electronic information within a business is where Antera Software’s expertise and focus reside. Yumasoft has developed the most important and basic components of Antera`s Link ECM - Optical Character Recognition (OCR) and Intelligent Field Recognition (IFR) software which are both serving to manage data and increase business efficiency. Steelgate Technologies delivers a global, private labeled, Hosted Cloud Backup Solution with features and applications uniquely designed to have full control and benefit of top of the line reporting features. The infrastructure Steelgate provides enables clients to deliver a more feature rich and cost effective solution to their customers, regardless of where they are in the life cycle of their current technology. Yumasoft upgraded the website and all the applications, improved and added new features to Steelgate service, suggested packages, payment models, etc. LiveTable delivers e-commerce software and web solutions for restaurants and hotels in the European and worldwide market by means of the latest technologies and many years of professional experience. Our developers, who make up the Offshore Development Center for LiveTable, are proud of the role they have been playing in the development and maintenance of LiveTable Software products for the past several years. Selventa has built a technology platform that leverages the world of known biology combined with large panomic datasets to identify molecular mechanisms of disease and drug action - the first large-scale causal modeling methodology that can be used to comprehensively model entire biological systems at the level of cells, tissues, and organs. The Yumasoft team is proud to be able to contribute to this important cause by providing outsourcing software development services. Technologies: Flex/ActionScript, Java/J2EE, MS SQL Server. MedStudy, Corp. MedStudy produces study/review materials and programs for physicians preparing to take their Board certification and recertification exams in Internal Medicine and Pediatrics. CME credit is available with all resources. Founded in 1990, MedStudy is now the leading source for Board preparation help. Yumasoft delivers Custom software development for the new modern web/desktop medical education platform. Technologies: HTML 5, Flex/ActionScript, ASP.NET, MS SQL Server. Veriforce provides compliance tracking systems for pipeline operators and contractors that assists them in tracking operator qualifications, monitoring contractors’ safety statistics, drug and alcohol testing, training employees and contractors, approving service line installers, and meeting insurance requirements. Yumasoft assists in improving and adding new features to VeriSource, a real-time, accessible system for the services Veriforce offers. Technologies: ASP.NET Web Forms (VB.NET), MS SQL Server 2005 + SP3, Microsoft Ajax, Telerik Controls, Developing SSIS Package, jQuery. 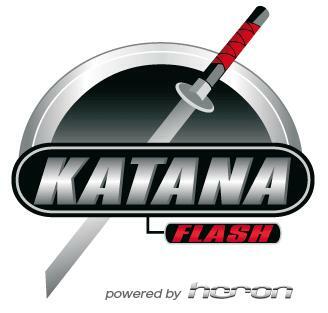 Katana-Flash provides software optimization for Engine Control Units (ECU) of most well-known car brands such as BMW, AUDI, Volkswagen, etc. Using a centralized server system, this company can service their clients worldwide at any time 365 days a year. Yumasoft has been developing the large custom business automation application, which will significantly enhance the business processes and services provided. The application has an outstanding level of secure data transfers, server security, and access permission/authentication systems. Technologies: This project combines both low-level programming in C/C++ and high-level in C#, WPF, WCF, MS SQL Server. OS33, Inc. is an American provider of secure and reliable cloud-based IT hosting with individual hosted environments for small and medium-sized businesses. The Yumasoft team is proud to be involved in the ongoing development for OS33 platform services. We believe that by providing our Offshore Development Center services to OS33, we are making a significant contribution to the efficiency and prosperity of many companies worldwide. Glöckler & Lauer has been providing custom software solutions for German companies for years. The company is a great example of the famous German quality. Yumasoft developers are proud to deliver outsourcing custom software and web development services for Glöckler & Lauer. Technologies: C#, ASP.NET, and SharePoint. Neuric Learning is pursuing its mission of helping people learn English by offering fun games as a casual learning environment. We are aware of the importance of the English language in our globalized world and are therefore very proud to contribute to the creation of such a useful instrument. Udutu offers online course authoring tool from the award winning team that pioneered the concept of reusable learning objects at Royal Roads University. Laplink Software, Inc. has been a global leader in PC connectivity for over 25 years. We can look back on over 3 years of joint software production with the company. Yumasoft has been an active participant in the development of PCsync, PCmover, and Laplink Everywhere signature IT products of Laplink. In its function as an Offshore Development Center, Yumasoft is fortunate to make a few significant developmental contributions to the Laplink software. We are currently developing forthcoming software solutions for Laplink Software, Inc.
Schindler & Schill GmbH has been in the business of customized software solutions for professional image data processing and CAD/CAM applications for many years now. They work to deliver high quality and efficient software applications to European industrial companies. Yumasoft is pleased to have provided custom software development services to Schindler & Schill GmbH. We have developed multiple Quality Process Tools, such as web-based document management systems (QPT-web) and helpdesk systems (QPT-connect) for Granduk. QPT-web allows several users to work with the same document in a network. QPT-connect is a helpdesk system, which facilitates the quick and easy location of information stored online. Technologies: C#, Winforms, MS SQL Server. SYNAXUS delivers documentation management and analysis software solutions for enterprises. Our developers proudly assist in the development of the company’s software tools. CADD Associates has been providing engineering services as well as engineering software and web development for over 15 years. Yumasoft performed the migration of their existing AUTOCAD application from VB.6 to C# including bug fixes. Yumasoft developed a custom multiplayer server system, which allows more than 1000 users to play simultaneously. This system has high-end security features to protect the players and the system. A multi-user custom platform was implemented and troubleshot in order to eliminate server delays for an expanded user group. Yumasoft also programmed the following games for ClixoCash: Tetris, Arcanoid, Space Invaders, Mahjong (individual player), and Snake (multiplayer). These games allow players to receive bonuses and get paid further in real money, which is the highlighted custom feature developed by Yumasoft. Cognicious is one of the major players in the rapidly developing market of a new generation of courseware. The company develops challenging educational web systems, and we are glad to help make learning easier and more accessible.